If you live in a big city or sprawling urban area, do you ever have a craving to visit a peaceful, picturesque destination that still has lots of interesting things to see and do? Look no further. San Benito County in Central California is the ideal tranquil getaway, conveniently located only about two hours from San Francisco or five hours from Los Angeles and only 40 minutes from San Jose or Monterey Bay. San Benito County, encompassing the richly historic towns of Hollister, San Juan Bautista and Tres Pinos, is known for its fertile farmland, but it also offers visitors the newest national park in the country, Pinnacles National Park, with the remains of an ancient volcano; top-notch golf courses; outstanding wineries with some of the best wine you’ve ever tasted; excellent restaurants and bakeries; comfortable accommodations, and a variety of other appealing attractions. Yet the beauty of the diverse, scenic terrain may be the area’s most prominent attraction. As we drove around the region, we were mesmerized by the mustard-colored grasses, rolling hills, and lush green valleys, all framed by the dramatic Santa Cruz Mountains. As guests of the San Benito County Chamber of Commerce we were pleased to discover this hidden gem of a region. Here is a sampling of our experiences, but keep in mind there is even more to enjoy in the area than what we were able to do in three days. That’s why we intend to return. 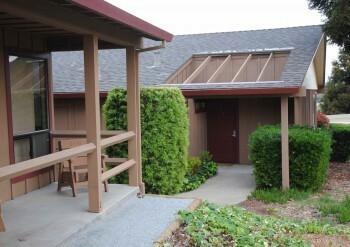 On our first night in the area we stayed at the public Ridgemark Golf & Country Club. We liked our spacious room in the updated lodge with sweeping views of the verdant golf course and surrounding mountains. We were pleased to learn that the land at Ridgemark has been Audubon-certified as a bird sanctuary. Club Manger Bruce Lewis made us feel right at home. The warm atmosphere in the bar and dining room reminded us of a friendly supper club in the upper Midwest. The next several nights we enjoyed the ambiance of the Joshua Inn Bed & Breakfast, located two blocks from downtown Hollister in a lovingly restored Queen Ann Victorian home originally built in 1902. Owned by our gracious hosts, Tricia and Greg Harvey, this comfy inn soon became our home-away-from-home. Each room has a theme and is individually decorated with antique furnishings, mostly obtained from local estate sales and antique shops. 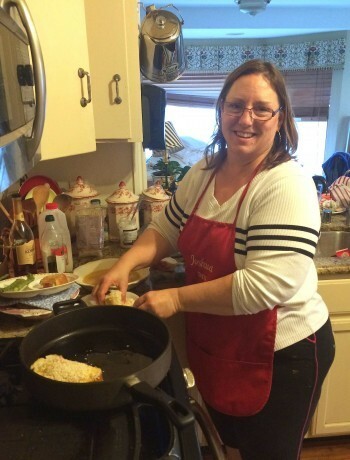 Tricia serves a delectable, homemade breakfast every morning, featuring some of her original recipes. (We particularly relished her delicious rhubarb stuffed French toast.) Late afternoons we tasted complimentary local wines, as we relaxed in the inn’s quaint parlor and chatted with other guests, many who had come to the area to hike in nearby Pinnacles National Park. The outdoor gazebo was another place to sit and contemplate what life was like in a bygone era. Since we were missing our dogs, cute little fluffy Sugar Bear gave us our dog fix. When we left our new home, it was a bit bittersweet, but I’m sure we will be back. If you’re into “glamping,” the Bar SZ Ranch might be for you. Located in the countryside close to Pinnacles National Park, this rustic retreat is named after the famous Hall of Fame Quarterhorse, Dr. Bar. The ranch offers 600 hilly, wooded acres with lodging for up to 40 people and also plenty of space for tents and RVs. Hayrides, shooting ranges, archery, and horseback riding are among the many country experiences available to guests. Since the property is part of the Thomas Kinkade Estate, you can rent Kinkade’s dramatic Art Studio on the top of a hill with stunning views of the valley. You will also enjoy meeting the Ranch’s impressive manager, Tim Borland, who ran 63 marathons in 63 days across America to raise awareness of a devastating, degenerative, childhood disease called Ataxia Telangiectasia. His dedication to children and families is evident in the experiences he provides for guests of the ranch. Walking through downtown Hollister, the county seat of San Benito County, is the best way to capture the spirit of the city’s past and present. Established as a city in 1872, Hollister still retains much of its early character and charm, despite a devastating earthquake in 1989. 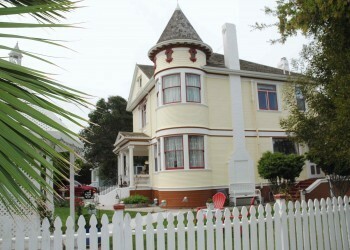 Beautifully restored original homes and buildings represent a variety of architectural styles from Gothic Revival and Italianate to Queen Anne and Craftsmen Bungalow. We learned that the city is known as “the birthplace of the American biker” and we found the place where bikers have congregated for decades. 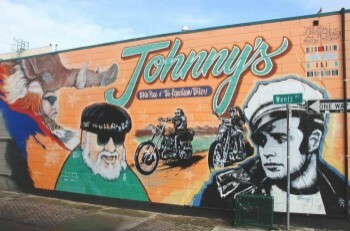 The 1953 Marlon Brando movie “The Wild One” was based on the local color found at Johnny’s Bar & Grill, which is still a cheerful meeting place today with good food and ample drinks. The owner, Charissse Tyson, has written an inspiring memoir about her challenging experiences in life and running the bar. I’m sure the bar is packed during Hollister’s famous, rollicking Freedom Rally, which is held every year for two days around the 4th of July. We just might go back to Hollister during this festival to celebrate my husband’s 4th of July birthday. 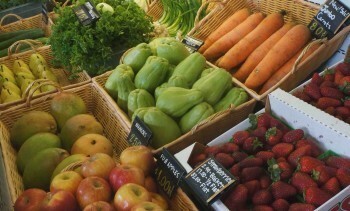 We would also like to visit the city’s bountiful Farmer’s Market, with its fresh organic produce, held on three downtown blocks every Wednesday from May through September. Although Hollister has a very walkable downtown right now, it will soon begin transforming its main street into an even more pedestrian-friendly venue for public events, shopping, entertainment and work. Oils of Paicines was one of our favorite stops. We met the enthusiastic, business-savvy owner, Barbara Rever, who is also a practicing nephrologist and who described the many healthful benefits of her 100 percent Organic Extra Virgin Olive Oil. Her ranch and olive orchard of 1300 trees are located in mountain foothills on 1000 acres where guests can also rent comfortable cottages for a few days in the pastoral countryside. We tasted delicious olive oil and savory tea made of olive leaves. 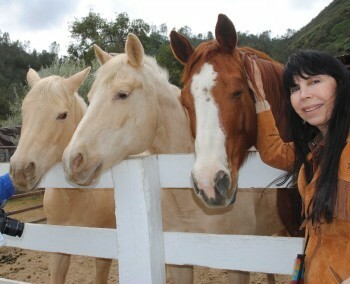 It was fun to walk around the ranch and greet the curious alpacas, llamas, horses, and a gorgeous white peacock. Oils of Paicines has an inviting small gift shop with gourmet foods, gift baskets, bath and body care items, and, of course, olive oil. The shop is open Mondays through Fridays from 8 a.m. to 5 p.m. The region’s rich soil and temperate climate with its sunny days and cool nights make San Benito County ideal for the many vineyards in the area. We visited two of several wineries open to the public. 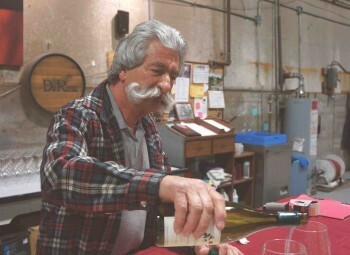 According to well-known wine historian Charles Sullivan, the DeRose Winery is the oldest existing winery in the state of California and is located on land that has been producing grapes for more than 150 years. The estate’s vineyards have weathered earthquakes, prohibition, and several changes in ownership, but the land is still nurturing great grapes. We enjoyed hearing firsthand from winemaker and owner, Pat DeRose, about his family’s legendary passion for producing outstanding wines. We sampled the unique Cabernet Pfeffer with aromas of white peppercorns and tastes of pepper and cherry. We also enjoyed sips of Cabernet Sauvignon, Zinfandel and Chardonnay in the winery’s spacious tasting room atop the San Andreas fault. Next we visited Pietra Santa Winery whose winemaking history also dates back to the 1850s when it was founded by Frenchman Theophile Vache. 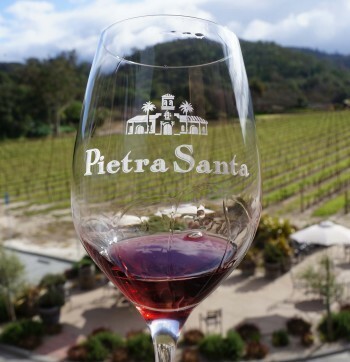 Because of the estate’s rich granite and limestone soil, the winery was named “Pietra Santa” or “Sacred Stone.” The most abundant grape on the estate is Pinot Noir and we loved the deeply flavorful, bright wine these grapes produced. The other wines we tasted in the gracious, mission-style tasting room, such as Pinot Gris and Sangiovese, were also excellent. The estate also produces olive oil and presses the olives using a rare Tuscan Pieralisi Press. San Benito’s rich, productive farmland nourishes a great variety of the state’s produce, but the area is particularly known for its apricots. We visited family-owned B & R Farms where the personable owner, Jim Rossi, whose grandfather started the farm in 1929, introduced us to the flavorful, juicy Blenheim variety of apricots. 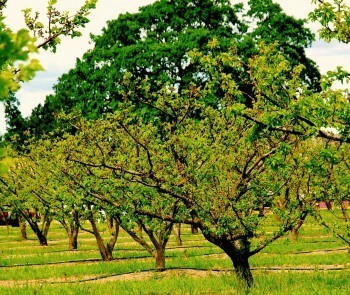 He emphasized that the region’s cool mornings and warm days during the spring, along with refreshing coastal breezes, were perfect for his 135 acres of apricot orchards. All the apricots are handpicked from the trees, usually during July, and then go through a specially-designed machine that pits them, washes them, and prepares them for drying. The apricots spend seven to ten days drying in the sun and then 80 percent of them are exported to Japan, where they are extremely popular. A cozy shop at the farm also sells delicious dried apricots, which we happily relished right on the spot. When you visit, you might try the Apricot Yogurt Bites that we have found pair very well with wine. 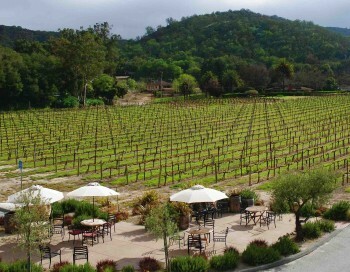 Tours of the farm and tastings in the gift shop at available by calling 800-930-9168 for an appointment. We also enjoyed tasting apricots at Bertuccio’s Farm Market where we met affable owner, Joe Tonascia, who also grows and sells the tasty, one-of-a-kind Blenheim dried apricots. In his market, he sells many varieties of dried apricots along with other vegetables and fruit. We particularly savored the unique apricot jams and chocolate-covered apricots, and brought home a jar of habanero apricot jam, which has been a real hit at our house, especially when spread over brie and served as an appetizer. Bertuccio’s offers an extensive variety of products online that can be shipped anywhere. The Market is open Monday through Saturday from 10 a.m. until 5:30 p.m. and Sundays from 11 a.m. to 4 p.m. The serene, rolling San Benito countryside makes the area a perfect golf destination. 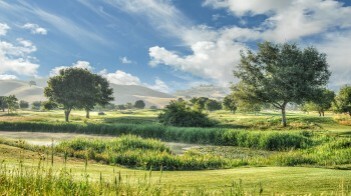 Ridgemark Golf and Country Club offers a challenging 18-hole course along with a lodge, bar and great restaurant. San Juan Oaks Golf Club, the first Fred Couples signature golf course in California, is set in meandering hills, meadows and valleys. 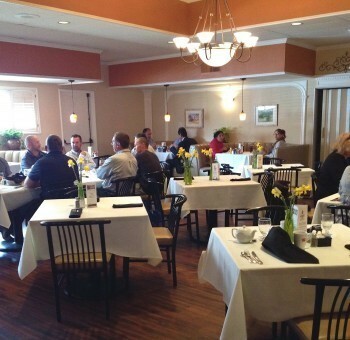 The San Juan Oaks Clubhouse and surrounding property provide an upscale, comfortable setting for breakfast, lunch or dinner before or after the game. The Club’s knowledgeable General Manager, Scott Fuller, described the history of the course and also outlined plans for expanding the area’s burgeoning wine region. But San Benito is not all wine, agriculture and golf. Some serious manufacturing is also taking place. 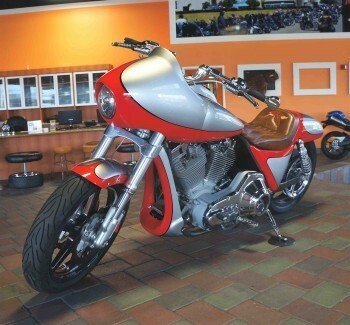 We were fascinated by a tour of Corbin Manufacturing, which produces motorcycle seats and accessories. I admit to not expecting this tour to be as enthralling as it was, but now I highly recommend it, especially if you like motorcycles. The plant actually has 2500 different molds for customized seats. (Because everyone’s bottom is different.) You can have a seat customized in several hours while you wait. The seat production process is more impressive than you can imagine and tours are available to the public, but you need to call 800-538-7035 to make a reservation. We also had the opportunity to visit Marich Premium Chocolates, a family-owned business that produces some of the most exquisite chocolates in the world. (Just sniff the air around the plant and you will be captivated.) 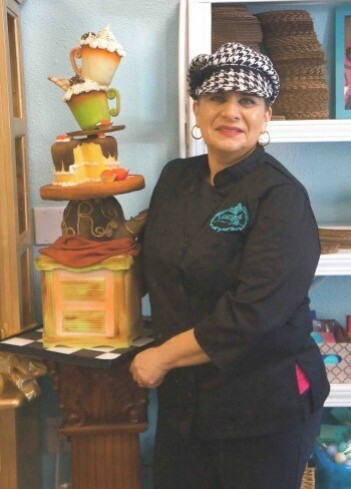 The Marich Sweet Shop, located on the plant’s Hollister premises, is open Mondays through Fridays from 12 to 4 p.m. Visitors are encouraged to call 800-624-7055 about scheduling a tasting session. 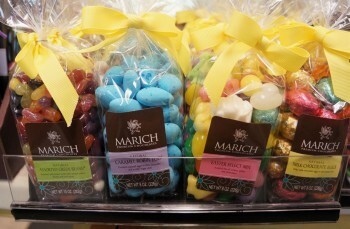 Marich chocolates can be found at many high-end retail outlets and grocery stores and can also be ordered online. While we did not have an opportunity to visit the San Benito County Historical Park, others in our group did and were impressed. This meticulously recreated village includes an extensive collection of historic homes, buildings, vehicles, and farm implements with well-informed docents to show you around and recount intriguing historical details. For a short time, you will feel as if you are living in Hollister’s early days. There are also numerous wonderful events occurring year-round at Bolado Park Event Center, including rodeos and the San Benito County Fair. Just check the Park’s website to see what is going on. Running Rooster is another family-friendly establishment, specializing in wood-fired pizzas, spit-roasted chicken, juicy hamburgers, cedar planked salmon, huge chocolate chip cookies, and wood fired mussels, which we tried and loved. The owner, Jim Chapman, who surprisingly studied computers at Stanford, has a passion for good food and enjoys the restaurant business in great part because of the opportunity to interact with his staff and customers. His focus on outstanding customer service permeates the restaurant. We were also pleased to note that he uses locally grown produce and serves local wines. 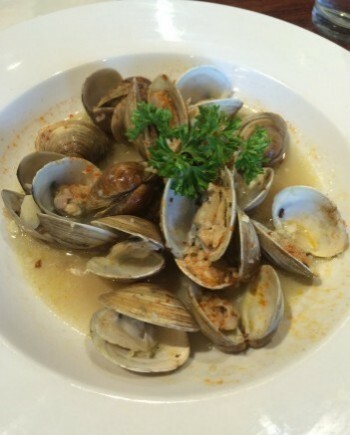 There are many other good restaurants in San Benito County and we look forward to trying them during our next visit. And there will be a next visit—perhaps on our way to or from Monterey Bay, San Francisco, Napa or San Jose. We will be sure to stop for a few days next time we’re in the area or we will make it a destination. I think you will enjoy San Benito too. It is a growing, changing area that still retains its country charm. Now is the time to go. Photos by Todd Montgomery. Golf course photo courtesy San Juan Oaks.